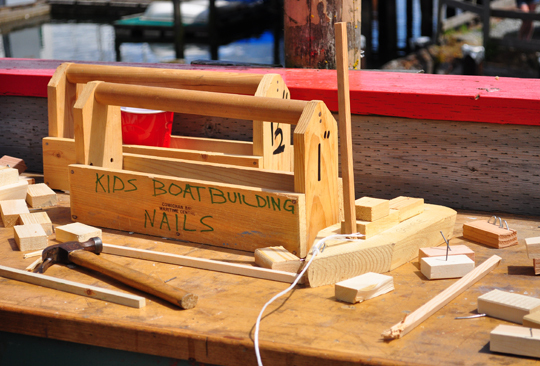 At the Cowichan Bay Maritime Centre this weekend, I saw this table set up with supplies and tools for kids. It reminded me of sitting on the back doorstep when I was a kid with offcuts of wood, a small hammer and some nails. At the time I thought it was pretty boring. Maybe if the wood had been cut into boat-shaped pieces…? Have you tried this with your kids?